Murray also ruled out becoming a doubles player in the future, ending the possibility of him teaming up with older brother Jamie Murray. Three-time Grand Slam winner Andy Murray on Friday announced that he plans to retire after this year’s Wimbledon but fears next week’s Australian Open could be the final tournament of his career. 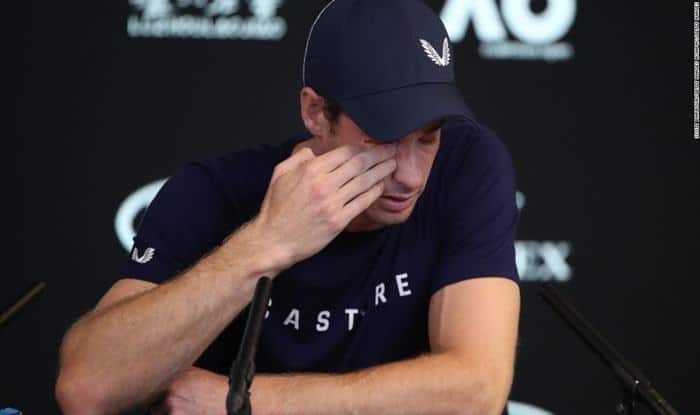 Murray, who is struggling to recover from a hip surgery, was in tears as he spoke to journalists in Melbourne. “I’m not sure I’m able to play through the pain for another four or five months,” said the Scot. However, the 31-year-old said that he still intended to play his Australian Open first-round match against Spanish 22nd seed Roberto Bautista Agut on January 14. The former world number one had surgery on his right hip last January and has played 14 matches since returning to the sport last June. Six years ago, Murray became the first British man to win at home at Wimbledon since Fred Perry in 1936. He has won two other grand slams and is the lone man to win back-to-back Olympic singles gold medals. Murray received a knighthood for his tennis achievements and charity work on the eve of 2017. He will become the first member of tennis’ so-called “Big Four” — Roger Federer, Rafael Nadal and Novak Djokovic are the other three — to quit the game.